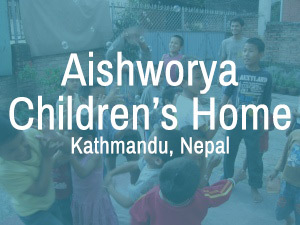 Aishworya has housed up to 45 children at one time. Many who have come to stay have subsequently been reunited with their families. For however long the children are in the care of Aishworya, we aim to provide them with a caring environment and as much love and support as we have to give. A safe, loving home environment. Regular balanced meals, clothing, shelter, and a sense of community. A safe play area and the opportunity to develop skills of social interaction with the other children. Teaching the children basic life skills such as cooking, washing clothes, personal hygiene, and cleaning to help them later in life. Providing opportunities for future development through encouraging interests and skills and providing vocational training where possible. Aishworya’s primary concern is always the welfare of the children who live with us, but we are also interested in the wider social impact of the work we do, which is why we don’t just take over the care of individual children. 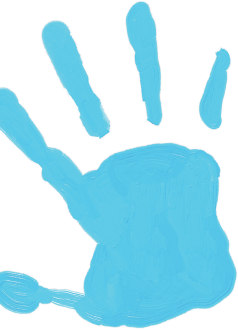 Where possible, we also work with struggling parents and families to provide the support they need to look after the children themselves. We want our kids to understand the importance of contributing to social causes, so we organize public awareness events and blood donation programs where everyone at Aishworya can participate and learn more about the world around them. 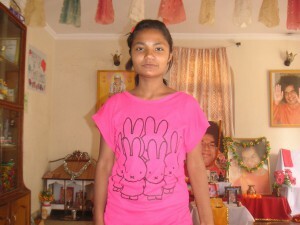 In 2003, Nirmala Ghimire found two boys on the streets in Balaju. Their names were Jeetu (10) and Arun (8) and they were dirty, hungry, homeless, and crying. Arun was very sick, so Nirmala took them first to the hospital and then to her home. After the local authorities placed the boys in an orphanage, Nirmala continued to visit them. A month later, she found two more brothers in Chamati, Jack (9) and Andy (3). 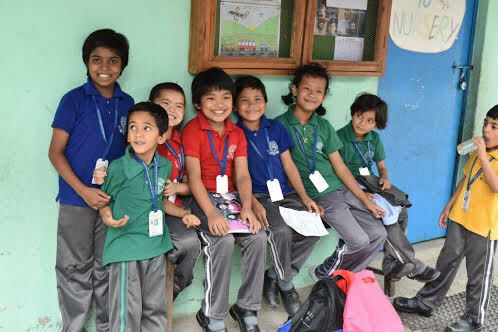 Nirmala took them to the same orphanage and continued to visit them and bring food and comfort. A year later, the owner of the orphanage had a heart attack and the children were all moved to different orphanages. The new orphanage the boys were moved to was completely different; the children there were badly neglected plus the house aamaa (live-in mother) beat them regularly and they weren’t properly fed or cared for. When Nirmala was at the hospital one day, she met Biru (6) and Sani (4), looking lost and frightened. Their uncle had been bitten by a snake and was severely ill, but there was no one else to care for them. Nirmala offered to look after them for a while until their uncle was better. At this point she realized she would prefer to look after the other four boys herself rather than leave them in such a bad orphanage, so she took them in and decided to set up her own children’s home. Nirmala quit her job as a driving instructor and sold her land in to pay the rent on a new property and provide for the children. Now, Nirmala’s daughter, Primila, runs the orphanage. There are around 45 children living at the Aishworya Children’s Home and in May they began another year of school! All the children wake up Sunday morning eager to start their week. The children get very excited about learning English, it gives them a sense of pride. In fact, most schools are English-speaking and are only around a 20-minute walk from the home. The children especially enjoy communicating with the volunteers at the home, who mostly speak in English. The volunteers make the children food from their countries of origin and the children’s’ faces light up when they can communicate with the volunteers about what they make. The students are also interested in learning more about computers in school, which have become more modernized and technologically driven. While the children are not attending school they enjoy dancing, badminton, and other various sports such as football and basketball. The community understands that extracurricular activities are an important part of development therefore these activities are heavily supported. The children also take care of their home duties as well. At home the children are a team. They help in the kitchen, make their beds, and help in the garden. There is a sense of unity and everyone has a task. They all enjoy coming together and taking care of their home. The children are off to a great start and are excited about all they will learn this year! From Aishworya – “We are very grateful to anyone who is able to donate, including those who can provide one-off gifts as well as those who are able to provide regular support. If you feel you might be able to contribute, have a look below at what a regular monthly donation would be able to provide for the children living in Aishworya. At present we work very hard to take care of the children, but we are still unable to provide them with the level of care we would like. We are therefore still looking for more permanent funding to support the children’s education and development in the long-term, as well as donations to cover our day-to-day running costs such as food, rent, clothes and bills. £7 ($10.95) a month will supply the standard Nepali meal of rice and lentils to feed one child for a month. £14 ($21.90) a month would add milk, meat, vegetables, fruit and eggs into that diet. A one-off donation of £19 (that’s $30) would pay the fees to send one of our children to school for a year. £19 ($30) a month would cover all their educational needs and contribute towards the cost of feeding, clothing and caring for them as well. £31 ($48.50) a month will cover the cost of necessary medication for all the children, or enable us to keep Aishworya supplied with electricity and clean water for that month. £65 ($102) a month will pay the school fees for all the children at the local school (that’s £1.55 or $2.42 per child), which works with Aishworya to provide our kids with the best possible care. Project Left Behind’s goal it to continue supporting this orphanage and these children for the remainder of their school years. Your donation is so important in helping us reach our goal. You can see more about what is happening at Aishworya at http://www.aishworya.org! Shoes! Shoes were delivered thanks to our amazing donors! Kalpana Bastakoti, one of Aishworya’s elder daughters, has finished her bachelor’s degree in economics, and passed a Nepal Education Service Commission exam. She has now been appointed as a primary teacher for a community school, starting on October 23. We heartily congratulate Kalpana on her achievement and wish her a successful life ahead. We also thank all our friends for supporting Aishworya; this wouldn’t be possible without your love, support, and kind wishes. Namaste! My name is Bhangwati Karki. I am 16 years old. I’ve lived in Aishworya for the last 10 years. I was rescued from child trafficking; Nirmala Ama brought me to Aishworya and gave me a new birth. I am very happy to live in Aishworya. I am in high school now. My favorite subject is English. 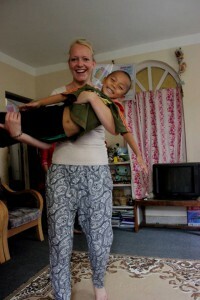 I love to look after the younger kids; I want to be a social worker. I love to listen to Beyonce, who is very beautiful. We have been so impressed by the way our friends have raised support for us over the last few years, money that goes toward the children’s food, education, medical needs, books, and toys – all vitally important to providing the vulnerable, abandoned, and unhappy children who come to us with a loving, caring environment, and helping them to grow up into happy, healthy adults, with a strong sense of family, community, and purpose. In case you haven’t seen, we’ve updated our fundraising page with more of the fantastic work that has been done by our supporters. This time we have the two very different stories of Mark Mariotti and Danielle Livolsi, who both found Aishworya online! Have a look at their stories. We are so grateful to Mark and Danielle for the work they have done for us. Sofia Zoon (The Netherlands, pictured right with Bibek), who volunteered through IDEX and fundraised to support us with bunk beds, medicine, school bags, HIV tests for our new children, stationery, and toys. Rosin (Ireland), for providing umbrellas during the peak of monsoon. Marion, Rafael and Capucine, who visited for a week and provided toys, clothes, a donation, and a wonderful trip to the zoo for the children. Margherita, who visited with her family. Pro-Nepal is one of our very good friends and we thank them for their continuous support. 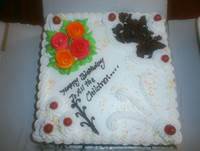 And, hearty thanks to all our friends for their ongoing support through gifts, donations and kind wishes. If you’d like to make any kind of contribution or send good thoughts or ideas, you are always welcome. Birthdays are filled with yesterday’s memories, today’s joys, and tomorrow’s dreams. Aishworya has been commemorating birthday celebrations for our children for the last eight years, making the children feel they are as special as any other child. Our dear children are from diverse backgrounds, brought together under one roof as a family within Aishworya, so let’s join together in wishing them all a very happy birthday along with lots of love and cheer for their bright futures. From now on, Kimberley will be taking care of the Aishworya newsletter as well as much of our communications and some general administration. She will be in charge of a new email address: ach.organisation@gmail.com. In future, newsletters will come from this new address, and any queries about the newsletter, the website, fundraising, or our finances will be answered by Kimberley. Questions about Nepal and the children themselves will continue to be answered by Pramila.